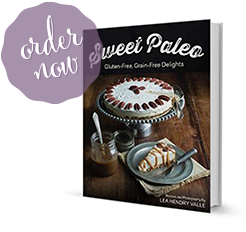 About two years ago, my wife Lea started “eating Paleo” in an effort to alleviate some health-related issues which she believed were possibly caused by certain kinds of food, like gluten. Partly to be supportive, and partly because she does most of the shopping and all of the cooking, I went along. I mean, really…what choice did I have? To my surprise (admittedly, I was skeptical), the new way of eating proved wildly successful for her and for myself. When combined with a regular regimen of Yoga, walking, and occasional sprinting, I shed the pounds quickly! Without much real effort and a lot of tasty meals, I was able to see a “1” followed by a “6” on my bathroom scale for the first time since I was in high school over two decades earlier. …Something happened. I don’t know when, but it happened just the same. Slowly but surely, the carbs returned – a little bread here, a slice of pizza there. And of course, there was the beer. As you may have noticed from some of my beer reviews, I love the stuff. So…bread, pizza, beer…and two years later, it’s all back, and then some. Don’t get me wrong, though. I’m not fat. I don’t think I’m even chubby…but I am overweight, and I don’t like it. So, in an attempt to regain my previously trim physique, I am willfully joining my wife on the Strictly Paleo Plan for the month of January 2013. I’m hoping to not only lose weight and get back in shape, but to re-establish those good food and exercise habits that worked so well when we first “went Paleo” back in 2010. 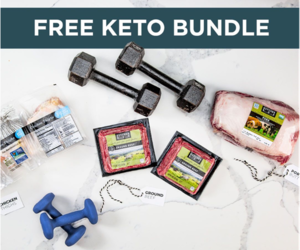 We are giving away a few things we think will help you follow the Strictly Paleo Plan or Whole30. These products were not given to us as part of a promotion. We bought these things ourselves because we truly think they are terrific and we want to celebrate the New Year by giving them away to a few of our readers. Winner #1 will receive: “It Starts With Food” by Dallas and Melissa Hartwig. One of the great things about this book is the focus on health rather than getting into the whole evolutionary rationale for paleo eating. Lea has discussed this previously and I agree more people can be reached by sticking with the science and health results. Winner #2 will receive: “Practical Paleo” which is a customized approach to health and a whole-food lifestyle by Diane Sanfilippo. The book contains 30-day meal plans and over 120 recipes that are gluten, grain, legume, dairy and refined-sugar-free. Like “It Starts With Food”, “Practical Paleo” approaches the paleo diet purely from the point of view of creating optimal health through food rather than focusing on evolutionary rationales. 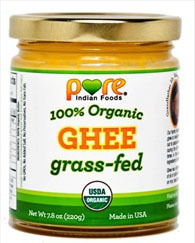 Winner #3 will receive: two 7.8 oz jars ofGrass-Fed Ghee from Pure Indian Foods. This stuff tastes amazing and the fact the butter oil comes from grass-fed cows means it is truly a super-food. Sign up for email updates from Paleo Spirit by entering your email address below and then confirming. Leave a comment on this post letting us know one of your New Year’s resolutions and that you have completed #1 and #2. Contest ends Thursday, January 3rd at midnight EST. Winners will be chosen at random from the comments section and emailed for their shipping address. Good luck and best wishes for a great 2013. We will be providing updates with progress as well as a few sample meal plans. In the meantime, Lea has created a new Pinterest board for Strictly Paleo/Whole30 recipes. 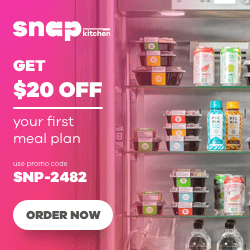 I know she will be adding a lot of recipe finds so you might like to check that out for food ideas – especially if you have a paleo resolution. 126 Responses to "G’s New Year’s Paleo Resolution plus a Giveaway"
I, too, am restarting! I’ve completed both requirements and would LOVE to win one of those great items! I will do my best to stay Strictly Paleo. I’ve completed 1&2 above. As for a New Years resolution I’m promising myself 1,000 miles of backpacking in the next 12 months. What better way to spend my 60th year on earth! I liked you on FB, subscribed to your feed, and my New Year’s Resolution is to complete the Paleo transition. Goal to lose another 10% body fat by the end of the year. That is just under 1% a month which should be doable. I’m down 5% for just my first several months. Sounds like me, too. The last month of goodies has put me back on sugar and gluten, and I just don’t feel as well! Going Whole30 for January 2013 to get back on those good habits! Sugar can be a difficult one; when I “went Paleo” last year, I was still able to enjoy my morning coffee with a little bit of sugar, as long as I completely cut-out other sweets. I completed #1 and #2. I am starting 2013 with the 21 day sugar detox tomorrow. My resolution for the year is to work out twice a week and engage in some kind of play (soccer?) at least twice per month. I already follow you on facebook, and just subscribed for email updates. Just found your blog recently and appreciate the information. I usually don’t make New Year’s Resolutions, but this year I relate to G. I had lost a lot of weight and have kept it off for several years. But I stopped exercising, and the weight is coming back on. I don’t like it! So I am starting exercising again – the information on this blog is helping me get started. I find I need to keep varying my programs or I tend to give up on them. Thanks again. The thing that made Paleo work so well for me was that I never really felt like I was dieting; Paleo allows me to eat a lot of really good food that I really enjoy – like Bacon! It’s really the way we were intended to eat and live, and when you get into that groove, it becomes second nature. Congrats on your resolve! I began Paleo eleven months ago due to some debilitating and degenerative health concerns. I feel like a new woman and am never turning back! One of my goals this year is to share the good news with people that I love and possibly those I don’t even know! I am passionate about telling others that Paleo can really help them feel and look better than they have in years! I enjoy following you all on FB and Pinterest. Your wife is inspiring. Happy and Healthy 2013! Hi Michele, sounds like you have great energy and commitment to paleo and a healthy lifestyle. I do too!! I am curious what enables you to keep on track? I am a mind body health coach and psychotherapist and this is an area of interest for me as it seems a lot of people swing in their thinking, behaviour, choices. Thanks so much for the encouragement. This may be TMI, but to answer your question about staying on track…..here goes! I have Multiple Sclerosis as well as irritable bowel and leaky gut (which I feel sure are a result of all of the steroids and chemo treatments I have received.) My health progressively degenerated and came to a head in 2011. That November I was “stranded” in a Target two hours from my home really, really sick. My irritable bowel was out of control, which in turn, caused my MS symptoms to flare up. I literally could not get out of the Target bathroom for six hours!! I was brought to tears that night and feeling totally desperate, I cried out to God for some help. I had hit rock bottom (the floor of a disgusting public restroom is pretty rock bottom!) and needed help. Within two weeks, I heard about Paleo and its remarkable results for autoimmune diseases. I researched and read every single thing I could get my hands on, arming myself for success. On January 15, 2012, I went full Paleo. Within 30 days I truly was a stronger, healthier, happier person. So, Anita, there is my motivation. I don’t ever want to forget how much pain I was in, how weak I felt, and how hopeless I was becoming. Thank you again for your kindness. Blessings to you and yours in 2013. Wow, Michele, what a great testament to the power of changing one’s diet to impact health. God really did answer your prayers! I pray that we will all be able to stay on track this year for our own health and wellness and to be good examples to others. Thanks for your comments. Lea’s health issues also improved when she began eating Paleo. Good luck! #1 and #2 are complete 🙂 One of my resolutions is to be able to run at an 8 minute mile average pace (or faster)! Happy New Year! I need a kickstart. I have been about 75/80 25/20 and need to get back to at least 99%. I have recently been diagnosed with Osteoporosis, Osteopenia and Osteoarthritis, and feel if I get back on track, I will be back to feeling great. Any and all help will be good. Steps 1 and 2 complete! I’m new to paleo life — began July 2012 after I was down for a couple days due to a minor surgery. My sister sent me some e-books, including Well Fed and It Starts with Food…and I fell in love with both books! My 2013 resolutions include: commitment to yoga 5 days / wk and train to complete my 2nd 1/2 marathon. Hi Amy, yoga five days a week is an impressive goal! Best wishes for success. I’ve completed #1, but #2 I get an error stating that this feed doesn’t allow email subscriptions? My new year’s resolution is also to get back on Paleo. I seem to have gotten sidetracked with all of the holiday parties! Hi Linda, I’m not sure what went wrong with that link but it should be fixed now. Happy New Year! Did a Whole30 last January and felt amazing after. Have fallen off the wagon in a big way and feel awful! Starting Wed, 1/2 – back to my 2nd Whole 30! Thanks for helping along the way! You’re welcome and best wishes for success. I started my paleo lifestyle a few months ago and love how I feel. I love your website because there is always great information and even better recipes. Best of luck to you! Sorry about the “wine” psyche-out. Lol thanks for your comment! Wishing Gavin good luck on getting back on the Paleo wagon. Thanks, Louise! Say “Hi!” to Bloderick! I’ve completed Step #1 and #2 and I have 2 New Year resolutions. My new years resolution for 2013, is to the follow the Whole 30 WITHOUT cheating. I’ve tried twice now and have ended up cheating here and there. And second, is to keep the space around me uncluttered! If my surroundings are cluttered, so is my mind. Keeping my environment organized helps my mood and always makes me feel better! I’m getting back on track after a month of being sick and eating too grain/sugars. I’ve also gotten out of the habit of exercising and need to start that up too! I completed both #1 and #2. My New Year’s resolution is to heal my gut and to forevermore be mindful of what I eat. I’m gonna try to eat better than I have this Christmas season!! I could stand to shed the last pesky 10-15 pounds!! Thank you for the wonderful resources you provide! My New Years resolution is to first complete the 21 day sugar detox then to get back into a healthy routine. Not only with exercise and nutrition, but meditation, proper rest and committing to my creative outlet! Bring on 2013! Feeling better is a major catalyst for creativity; a healthy mind and a healthy body complement one another well. Thanks for all the follows! Our husbands are sometimes captives to our decisions about food – which in our case is a good thing! Best wishes for your goals in 2013. #1 and #2, done and done. Resolution? To believe in myself. Sounds easy. It’s not. I too need to get back on the paleo wagon. I’ve been 80/20 the past three months but would like to ring in the New Year dedicated to a 100% paleo diet. Thanks for the inspiration. I’ve also liked you on Facebook and am following you on Pinterest and I’m already getting your emails. Thanks! #1 and #2 done. Starting off the new year with the 21-Day Sugar Detox! completed step 1 and 2.
my boyfriend and i did a month of strict paleo and lost 13 lbs. then thanksgiving… and the holidays happened and we slowly started eating all the foods we weeded out before. we pan to get back on track this new year as our resolution. and hula hoop every single day, for 5 minutes or an hour- it doesn’t matter. just hoop. Mimicking the way kids traditionally play – climbing, jumping, sprinting…hooping! – is probably the best way to exercise! The modern, western way over-emphasizes intense cardio-workouts that burn fat, but can leave you overly exhausted and hungry. So keep hooping! I’m not really doing resolutions this year. I am setting a few goals. One get 10 bandless kipping pull ups by the end of January. Part of doing that is by eating strict Paleo and no sugar. My focus will be nourishing my body for better performance. Courtney, wow, 10 bandless Kipping pull-ups is a tough goal. Best wishes for success. My new years resolution is to be even wiser with my choices, I am eating right but need to excercise more, I will. I’ve liked, subscribed, followed- you name it! Would love to start the new year off with one of these great tools in hand! Tomorrow will mark 1 full year of mostly Paleo for me with a 20 lb weight loss and more vibrant health. One of big goals for 2013 is to amp up my exercise- with a new giant puppy who will be my new hiking partner how can I fail? I am also going o are it my goal to feed hima 100% raw meat diet to! My resolution is to exercise daily and to lose this excess weight. I’ve done 1&2. I did 1 and 2….I don’t really make resolutions as I feel that I set myself up for failure when I do that. However my partner and I have made a decision to purge sugar and processed foods from our home and diet as of today in order to be healthier and also to make our children healthier. I admire your resolve to make changes that positively affect your kids! Getting those bad food temptations out of house is a great idea. Best wishes for success. 1 & 2 complete. No resolution, just plans to meet goals — completing Whole30 is the first step in my master plan (to take over the world, bwahahahaha!). I have completed #1 and #2 and would love to win the ghee. I have Hashimoto’s thyroiditis and have cut out dairy,except for ghee to try to heal it. I love the fact that you give God the due He deserves, unlike some of the other Paleo websites. Keep up the good work and He will get the glory. I am following on Facebook and Pinterest. I’m so glad I ran across your tweet about the giveaway. I had already planned to read more about the Paleo lifestyle/diet and adapt it for 2013 and Practical Paleo is at the top of my Amazon wishlist, so whether I win or not, I definitely plan to get it and read it. I already follow you on fb and email and I don’t have a pinterest account. My new year resolution has both a personal and professional intention. My personal goal is to continue the health goals that I am following. I have set out a plan for this year of introducing a new health practice every 2 weeks to build a healhty lifestyle. I am excited to stick to it. It is also going to be part of a book I would like to share with people along the way. I am a mind body psychotherapist and mind body health coach. I am really interested in the ‘swinging thoughts and behaviours’ from paleo to having sugar, grains, etc or ‘cheating’. I believe it is possible to stick with this healthy lifestyle and want to support people with navigating their vulnerabilities in sticking with their health choices. My professional goal for this year: I want to help people find ways for their health choices to be easier and less energy or focus to keep on track. I believe this is possible! One of my new year resolution is to eat healthier. I’m totally new to the Paleo World, but starting the year with Whole30 will be my family’s new challenge for the year. My hubby and I are overweight, and I am tired of feeling tired. My daughter has many food allergies. I’m hoping that if we can all eat according to Paleo it’ll free up more time for family togetherness and physical activity for us all! Thanks so much for all the good info I get from your FB posts, Pinterest boards and emails! Hi Shannon, when I changed my diet I gained a lot of energy. I now have much more ability and desire to keep up with my kids in their activities. It takes some adjustment but once you get the hang of eating whole foods it becomes the norm. Good luck! Completed the steps! One of my major new years resolutions is to make healthy lifestyle changes to help heal what I suspect is moderate adrenal fatigue. Good luck getting back on the wagon! It will be worth it! Completed 1 and 2. One of my resolutions is to be more present. I have spent the last 6 months preparing to go 100% Paleo in the New year! I am READY! And excited! 🙂 This is my year to go Paleo!!! I have also completed steps 1 & 2. I would love to win the ghee!!! I really need to get back on the Paleo way of eating. I been eating crap since Thanksgiving and now it takes all I can do to just walk. I don’t know why I let myself go this far.. I vow to make this year my year. I can do this. It will be very strict Paleo. I have a new granddaughter to keep up with. I have done all the requirements. Happy New Year everyone. Items 1 & 2 done. Interested in the Paleo style due to digestive health problems and have been told this might help! Thanks! Hi. I am someone who will never have a Facebook account. I was a victim of a stalker many years ago. When each of my three siblings joined Facebook, he contacted them looking for me. This is why it is not wise for me to be on Facebook. Even with all the security out there, I will never feel safe. I do subscribe to your email updates and enjoy your entries. All the best to you and your family for a healthy, wonderful new year! Sorry to hear about your misfortunes on social media, it is one of the downsides that the public tends to ignore. Your decision to avoid Facebook sounds like a wise one. My wife and I are going to start on Paleo Wednesday. We have done quite a bit of South Beach and it works pretty well for us but I have been concerned with gluten and diary for awhile. I started having digestive issues a couple of years ago and I think the elimination diet will help me identify the culprit(s). I am a marathon and ultra runner and intend to keep it up but with a more healthy diet. My wife is fitness conscious as well and has recently started running regularly also with her first half planned for late March. We are new to Paleo and have found your site a very helpful resource. I’ve done both #1 and #2! I found your website searching for an asian paleo beef shortrib recipe. I found one and this contest! I’ve been paleo for nearly 150 days, I started to help improve my run recovery. It’s helped me drop some unwanted weight and changed the way my body works! I am loving paleo and the affect its had on my running, my cooking and my life. Thank you for all your yummy recipes, and great blogs! 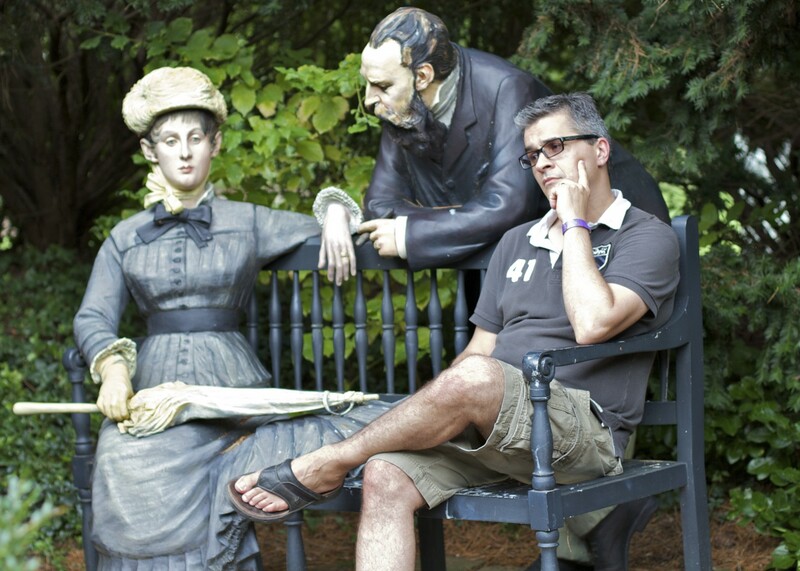 My resolution this year is to spend more quality family time with my husband and 2 kids. My husband and I work together for our church, and I’m fortunate to take my 8 month old with me, but I would like to make more memories with my 8 year old. He’s growing up way too fast! One and two done. Welcome 2013. Let’s rock January! Completed 1 & 2. I, like many others have consumed far too many sweets and restaurant meals in the last month. I’m looking forward to eating clean again and back to my 99/1 way of eating! This year I am going to find my true power of my own inner healing, and all that encompasses. Following both. Using your rib rub to smoke our New Years Ribs today! It’s our favorite. My resolution is to be better about meal planning. We do better when the meals are planned. I also plan on getting my kids more involved in making the menus. I completed 1 & 2. My resolution is to complete a Whole30 this month to get back on track and eat less sugar! Went on FB and Pinterest to like/follow. I am already subscribed to your newsletter. I am determined to lose weight and get healthy this year and would like to try this plan. Steps 1 & 2 completed. My new years resolution is to treat myself with respect – how I view myself, what I put in (and on) my body, etc. I am back to strict paleo for the new year! I love the way it makes me feel and at 40 I have more energy than ever. I have completed the required steps and my resolution is like many others. I am jumping on the Paleo band wagon. I resolve to feel better! First, I have completed steps 1 & 2 (Pinterest, FB and email signup). 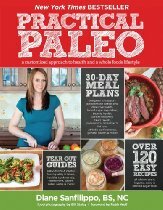 I just recently found out about Paleo eating after starting to read Wheat Belly and doing some internet searching. I’ve been cooking some Paleo recipes and almost all have been truly delicious. Now that the holidays are over, I’m excited to try 30 days eating strictly Paleo. I’ve got no serious health issues and no food allergies (that I know of) however I desperately need more energy as the mom of a young boy with special needs. I’d love to win any of these giveaways! My husband is also on board, but I’m doing most of the reading/searching/cooking, etc. Thank you! I have completed one and two. My husband and I have resolved to hop back on the paleo wagon full force and to minimize all of the “stuff” in our lives. Lots of goals set for this year for over all wellness. I am currently following the 21dsd to get myself back on track and kick the sugar back out of my life. Would love to be included in your give away. Happy New Year and health physically as well as spiritually. I completed 1 & 2… My goal for 2013 is to purchase the bulk of my produce, meat, eggs and honey from the farmers market and supplement as little as possible from the grocery store. Thanks for the opportunity to win! Happy New Year! One of my resolutions is to do 1 random act of kindness once a week. I follow you on FB and on Pinterest, also I just subscribed to follow this blog. I am so excited to see how the Paleo process continues for my husband and myself! We are new to the process, but we are eager to learn more! Thank you for all the great recipes and ideas! Well, I’m glad I saw this post to know there is a facebook and pinterest page to follow. So I am now following both. I found and subscribed to your blog a few weeks ago – its my favorite. My New Year’s resolution is to get back into yoga and I’m going to start a Whole30 next week for a post-holiday cleanse! I did them! One of my ‘resolutions’ is to stay active this year. I love both cookbooks. I want to have fewer times when i treat myself to non paleo food. I’ve completed steps 1&2. My new year’s resolution is to get fit enough to ride my bicycle to work when I go back in April. My resolution is to continue to work on my physical fitness. I just signed up for a TRX course, as part of my attempt to “lift heavy things”! My New Year’s Resolution is not to make one. All I want to focus on is my health, my relationships, and my profession. I have completed (or will very shortly) both steps as listed above. Happy New Year! I completed steps 1 & 2. I am starting my first 30 day Paleo challenge today with my husband. One of our new year goals is to focus on a healthier lifestyle (by doing Paleo in which our friends think we are completely NUTS) and complete a half marathon together. Thank you so much for this great opportunity to win the giveaways. Happy New Year! Have done 1 & 2. My biggest New Year’s resolution ever was to go on Paleo for 2013 and I started yesterday and I am so excited about this! I am already on your email list and I didn’t do #1 only because I am not part of either Facebook or Pinterest. My goal is to keep myself on a living healthy Paleo path and get my family into it! i have completed tasks # 1 and 2 and resolve to clean up my potty mouth and to resist gluten in all its lovely forms! I’ve lost 80 pounds without exercising, so for 2013 I want to get some muscle! Cant wait to follow u on Pinterest! So glad I found your site! I completed steps 1 and 2. I am going to focus on faith over fear for 2013. Thank you for all of the great information. Resolved to gain health by eating paleo way and by strengthening mind, body and spirit. 1 & 2 are completed. Done 1 & 2. I’m so stoked to have found your site. My resolution is to start Paleo lifestyle. I’ve got an autoimmune disease and am hoping to improve my health. We’re hearing from more and more people with autoimmune issues. Too bad the medical community is not as receptive to the relationship between diet and autoimmune diseases. My new years resolution is to stick to Paleo. I always start and fall off somehow. Lately cooking has been easy, but often involves cooking multiple items for my husband who does not Paleo. He always tries what I’m cooking, but wants “backup” incase he doesn’t like it. Battling an immune-disease for the past 10 years has been a headache. Hoping the year Paleo changes that for me! Here’s to a healthy, loving, and blessed 2013!! My wife saw tremendous progress with her health issues after going Paleo; good luck in 2013! Steps 1 & 2 done! I had bariatric surgery in March, and I don’t regret it one bit. However, I have fallen off the protein wagon, and need to hop back on! Paleo makes the most sense, as I am to eat protein first, veggies second, fruit, etc., etc. thank you for the opportunity to win something, anything!!! Hi there! No Facebok or Pinterest account, but I did sign up for the newsletter. I don’t really have resolutions this year, but am starting Crossfit for the first time ever and am doing a Whole30 to start the year off right! Steps 1 & 2 are done! I’m still trying to cut grains out of my diet (I am celiac, so eat no gluten anyway), and want to get back into my yoga and walking more. I completed 1 & 2! My goals are to complete my first whole30 and to simplify every area of my life… Focusing more on Christ and less on my “stuff”. My New Year resolution for 2013 is to draw a line in the sand. This will be the year that I change the legacy of our family. From a line of obesity to a line of health, by teaching my kids from early on what true health is and how to truly eat healthy AND enjoy every moment that this journey brings! I did 1 & 2. Completed steps 1&2! Resolution: complete another whole30 to get my eating back on track! I meant to say healthy diet. I don’t “diet” when I’m pregnant. I am just excited to eat more paleo this year! Wow!!! THAT’s commitment! Keep your spirits high, and best wishes with the baby. My resolution this year is to take care of ME. I’ve been so busy taking care of everyone else, that I’ve neglected myself. Steps 1 & 2 done a long while ago, love your ideas! I understand totally about falling off the proverbial wagon — I went nose-diving into Mexican pastries in December and finally emerged and wondered what was I doing??? Time to reboot! Started a Whole 30/Strictly Paleo on Jan 2 and feeling so much better already! Good luck to you on yours! Dutifully following you! This year I’ve resolved to be braver and boldly pursue the path less taken. I’ve gotten healthy and happy, go now i want to go for gold and build an extraordinary future. We’re in! We jumped back on the primal wagon the day after Christmas, and blew it yesterday at the in-laws’ house. Now we’re back, looking for new recipes, and looking forward to getting rid of the grain-induced bloat. Thanks for giving us 3 chances to enter… we’ve done all three. 🙂 Happy New Year! I forgot! My goal for 2013: 10 chin-ups! I can do bunches of chair-assisted pull-ups, but nothing on my own… yet! Chin-ups are tough; keep it up! I’m in! I’ve been paleo for about five months, but off-road occasionally. I, too, have committed myself to a Whole30 reset along with goals to run in a 5k in March and build a mindfulness meditation habit. You’re off to a great start; the mental commitment is just as important as the physical! One and two completed. My goal this year is to earn my blue belt in BJJ.